Do you ever feel like you're not sure you're following the correct path of life? That although your life is full of pretty great and full of amazing things, you can't get the feeling out of your stomach that perhaps you were made for something more or different? I've had this feeling for the past year, you know that unsettled knot that keeps you from living your life in complete happiness. To be fair, it's small and sometimes I'm so busy I forget it's there, but deep down I known I need something to change. Now, before you go thinking I've completely lost it and I'm having a mid-life crisis. I promise I'm not going to do anything drastic like quitting my job and joining the circus. The changes I have in mind are more of baby steps--for now. First of all I need a mindset make-over. As I said before, my life is pretty great--I have a wonderful husband, two healthy children, a career in the field I chose, great friends, plenty of food and a beautiful home. So why do I have this unsettled feeling? What is keeping me from being truly happy and thankful for all of these gifts God has placed into my life? I think most of the problem is my mindset. It is really easy for me to jump into the negative and what's going wrong, how stressed something is making me, or how much I don't want to complete a task. 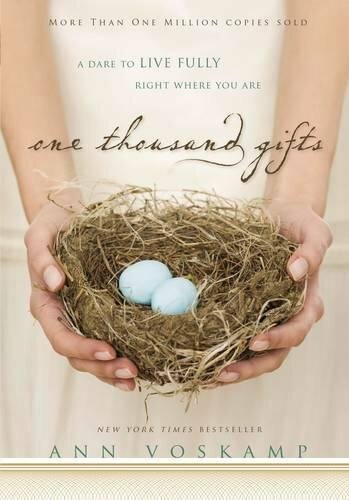 However, I think back to a few years ago when I read One Thousand Gifts by Ann Voskamp. In this book Voskamp teaches to live life joyfully by counting your blessings, from the obvious to the simple gifts we take for granted. I've tried journaling and writing three things I'm thankful for each day, but I want to go beyond a simple list on paper. I want to share the things I'm thankful for, in a more positive in depth way. The next thing I need is a lifestyle change. I'm not sure about you, but my life is STUFFED, so stuffed I feel like I don't have any time for the things I truly love: reading, writing, making homemade things, spending time with my family. I have become rushed, quick tempered, and super unorganized. And when I do take time for myself, then I fall behind in other areas of importance--making time for family and friends, keeping up with the house, or meeting deadlines for work. And that's just my time. I'm stuffed in other ways as well, when I look around my house--it is physically stuffed. We have more things than there are hours in the day to use the things we have. I know I am not the only person with this problem. 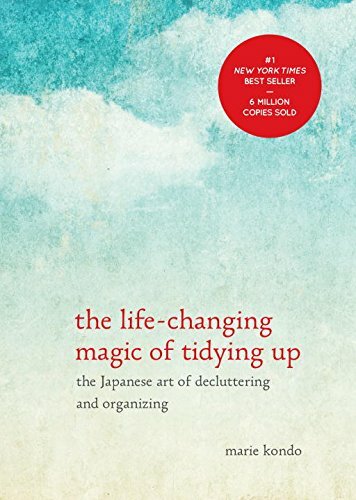 So, over the next few months I will finish the decluttering process that I've already started, following Marie Condo's, author of The Life Changing Magic of Tidying Up, philosophy of only keeping items that are useful and "spark joy". I've read a lot of research recently that says that reducing physical clutter around you actually reduces brain clutter as well, which can lead to more productivity and less anxiety. Along with this lifestyle change, I am seeking a simpler way of living. I want to get back to making my own products using essential oils and natural materials, keeping a small garden for growing some vegetables and herbs for cooking, and being more connected with family and friends in face-to-face settings rather than through social media. As I begin these small changes in my life, I will also be blogging more to share these positive changes with you. Although my name and website will remain the same, my blog focus will be changing slightly, my children are growing and as my life has changed over the past 5 years, so has my vision and my goals for writing. I hope that I can still connect with many of my previous followers as your children have grown as well, but I also hope that I can connect with others who may be looking for some inspiration or positive change in their lives as well. Please feel free to share my website and Facebook page with your friends and family. And as always, thank you for your support and for reading.